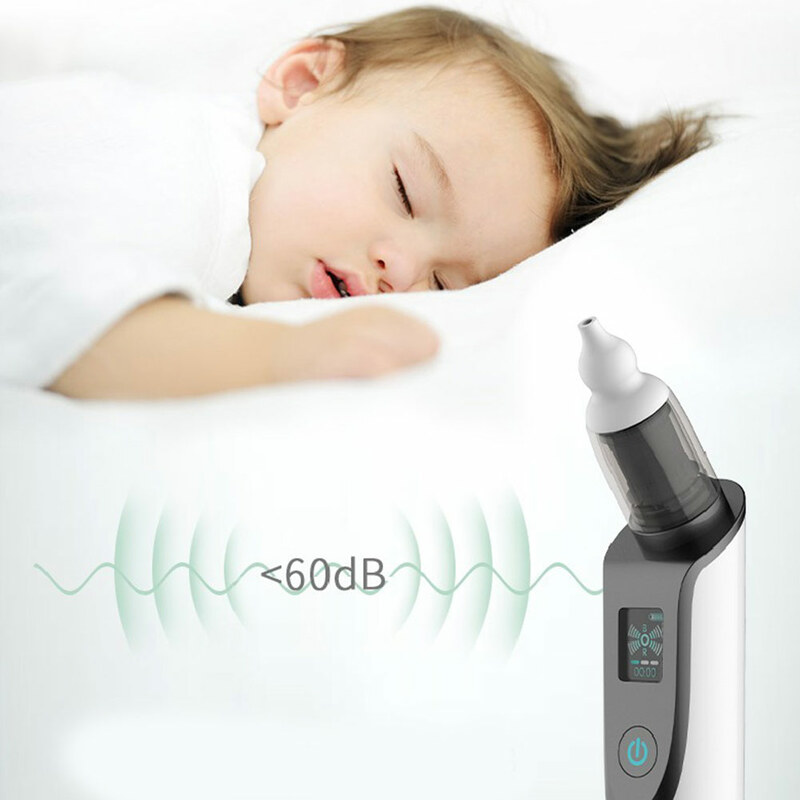 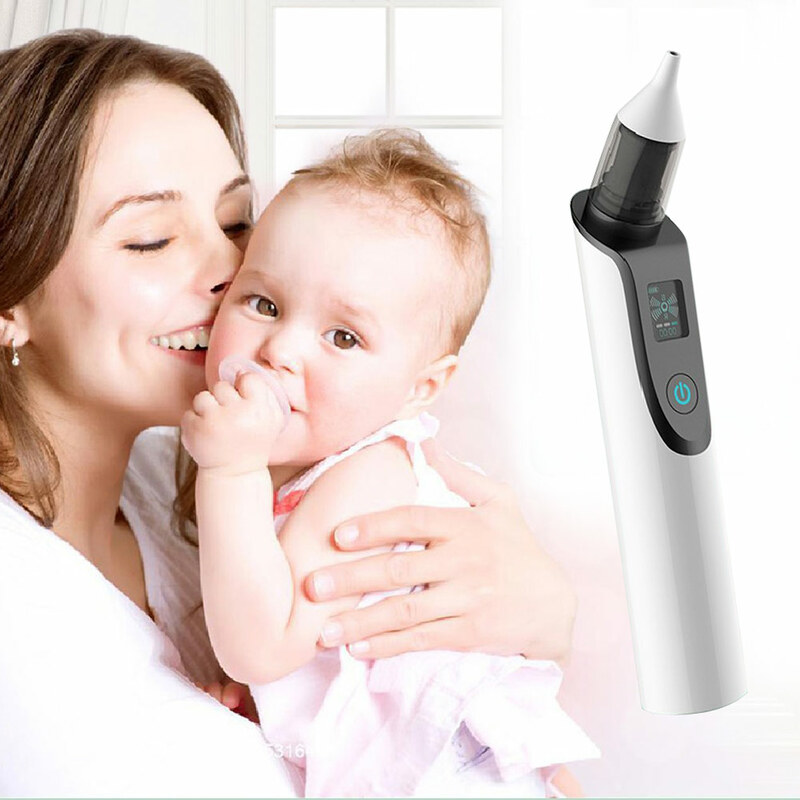 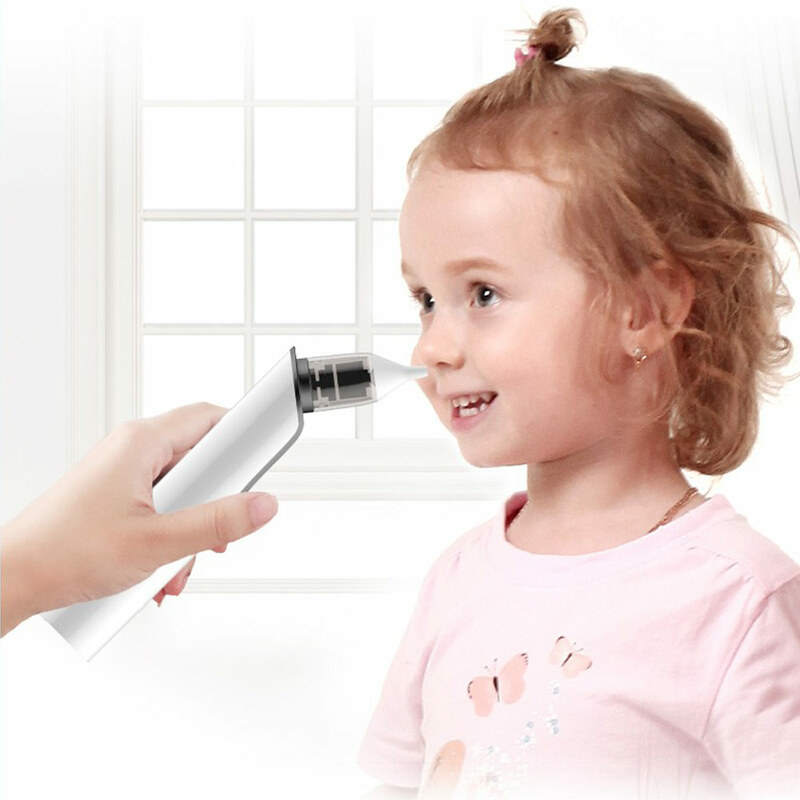 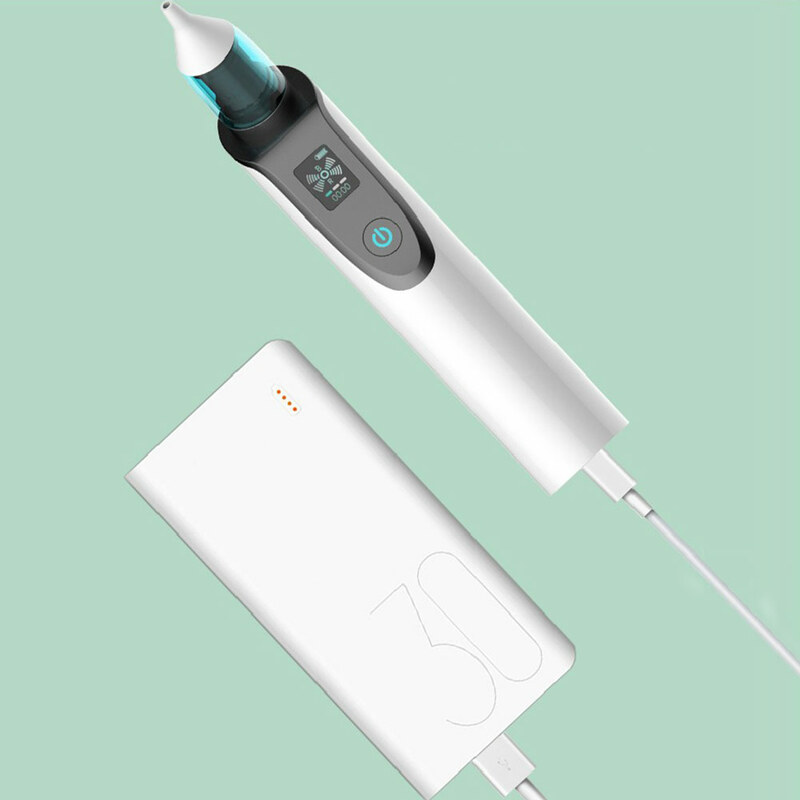 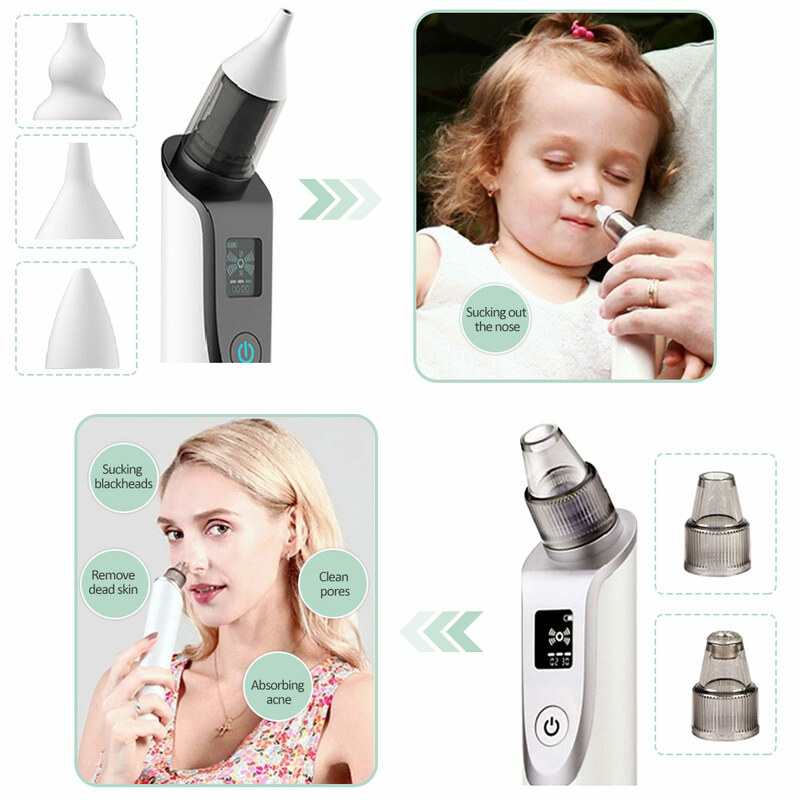 1、Multi-functional design: children nasal aspirator and adult beauty equipment, blackhead and dead skin remover, 2-in-1 function. 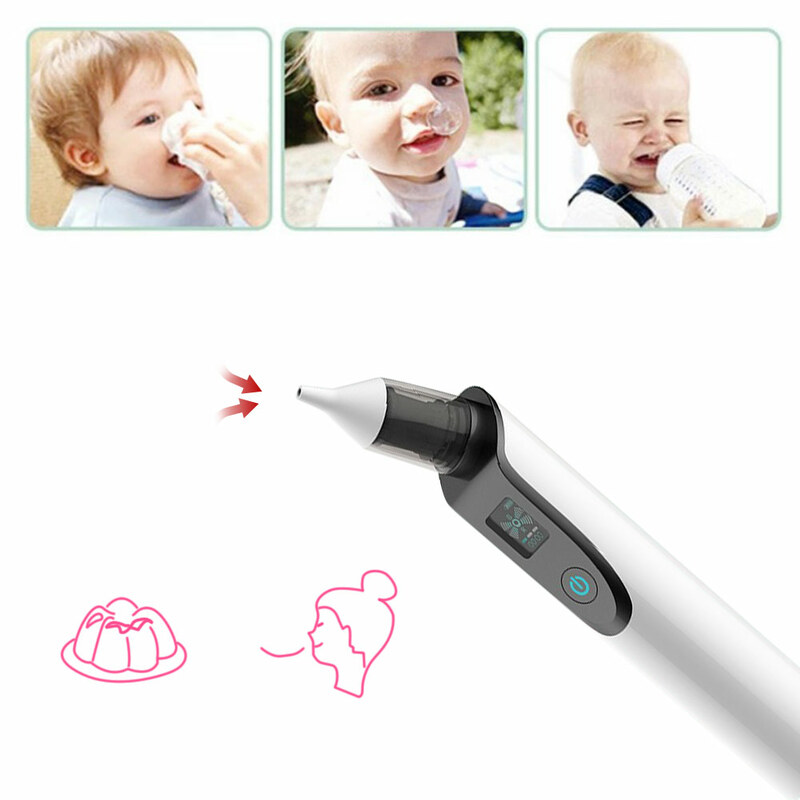 2、This nasal aspirator helps parents or child care providers to quickly and easily remove the mucus from the baby\'s nose and relieve their discomfort. 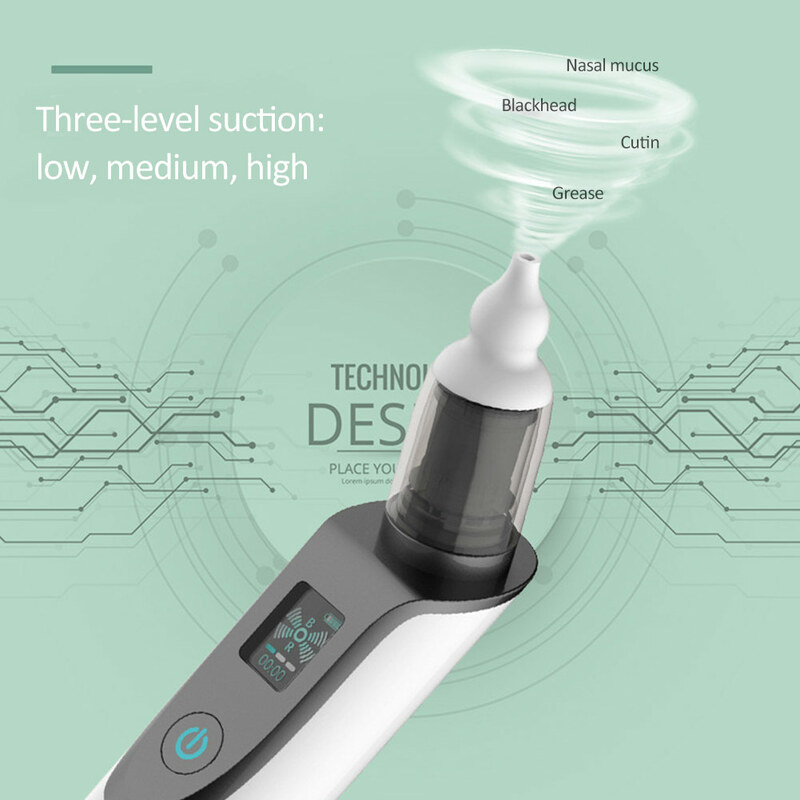 3 silicone tips replacement: the gourd-shaped silicone tip is suitable for baby over 0 years old, the curved silicone tip is suitable for baby over 3 months, the funnel-shaped silicone tip is suitable for children over 2 years old. 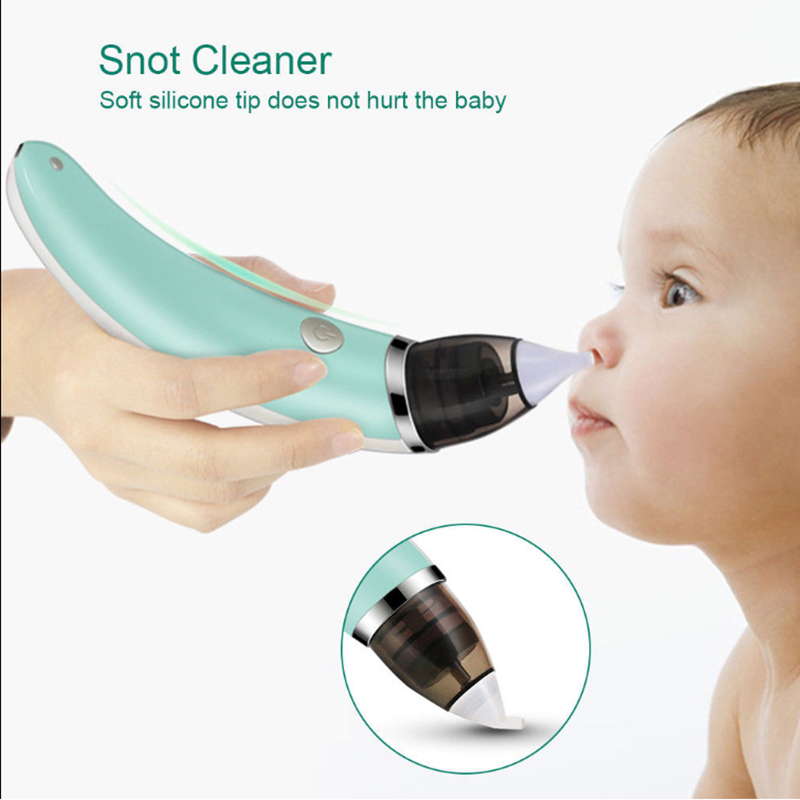 It can comfortably fit the baby\'s nose. 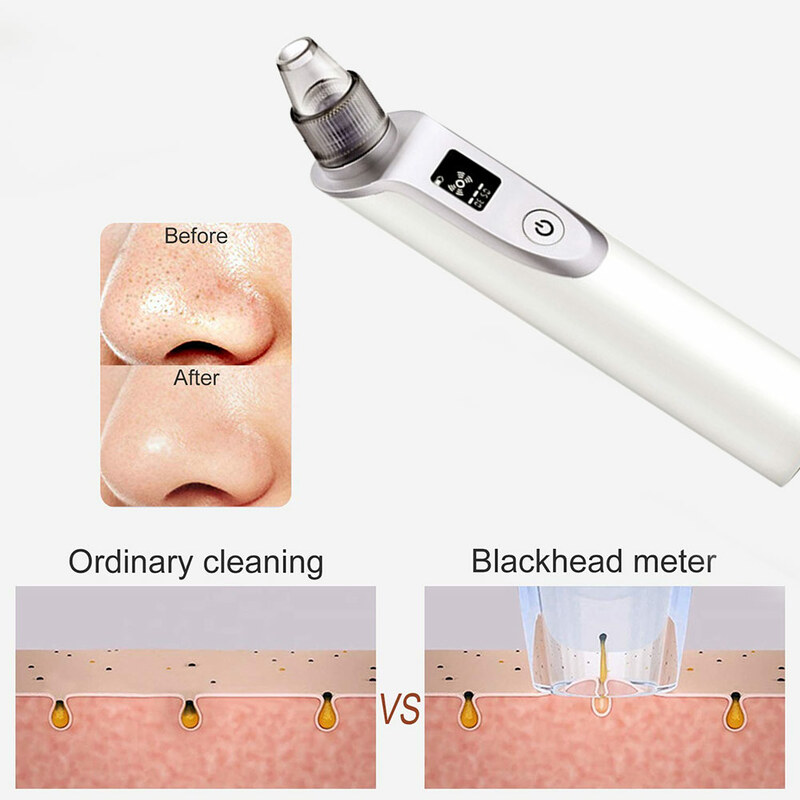 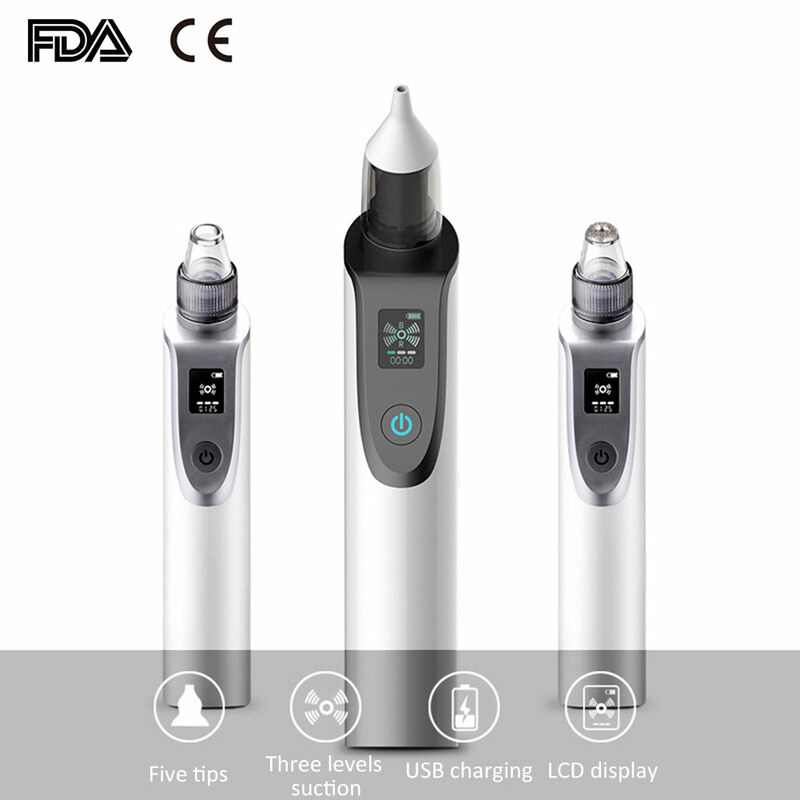 3、Blackhead remover beauty instrument: 2 kinds of PC tips replacement: the large round hole sucker for removing blackhead, acne, grease, etc. 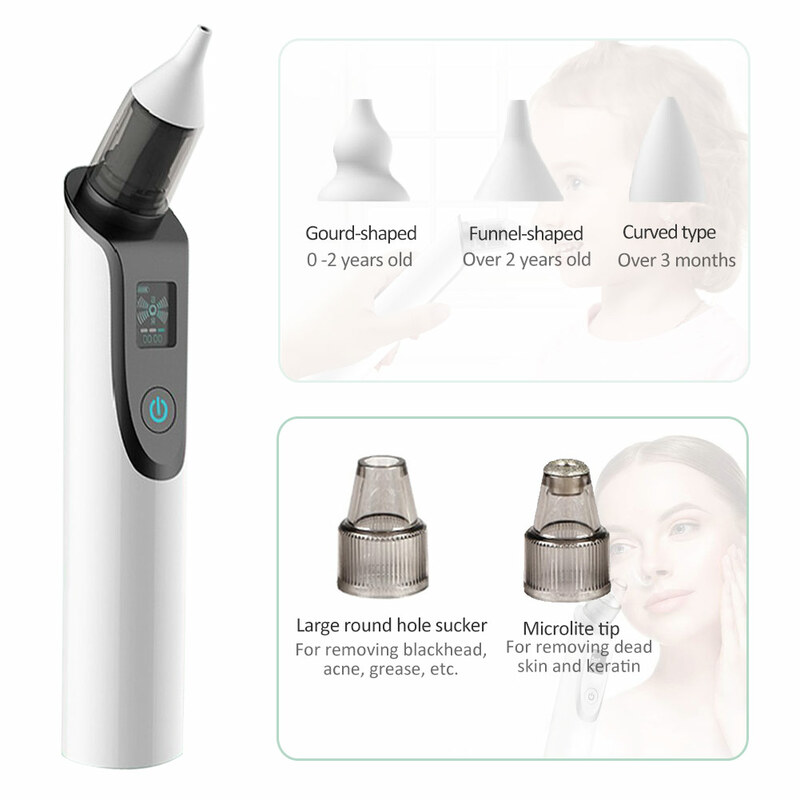 The microlite tip for removing dead skin and keratin. 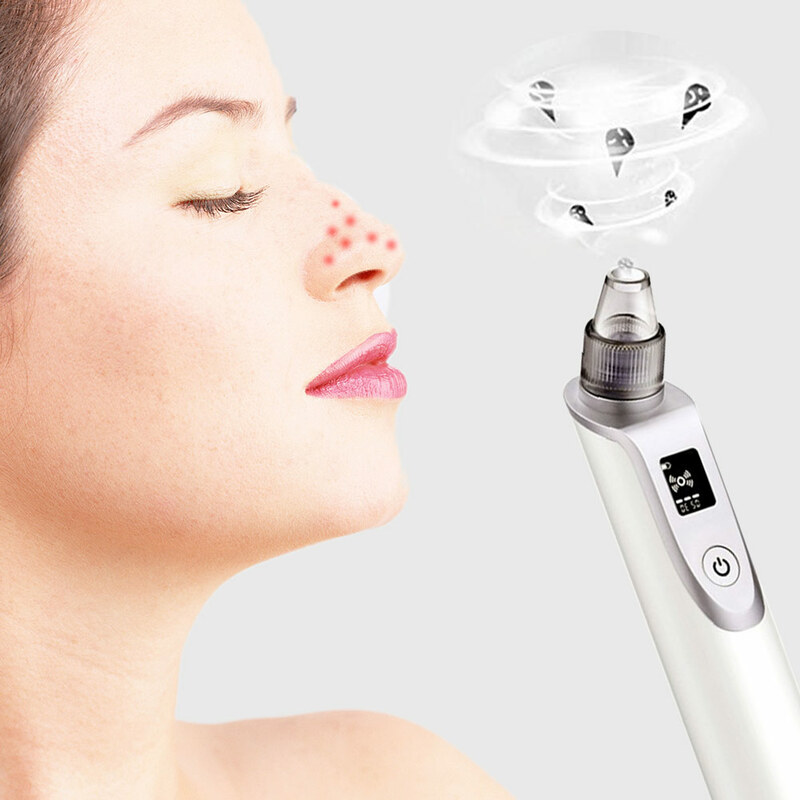 It is easy for adults to clean the skin, and it will have better effect when used with blackhead derived solution. 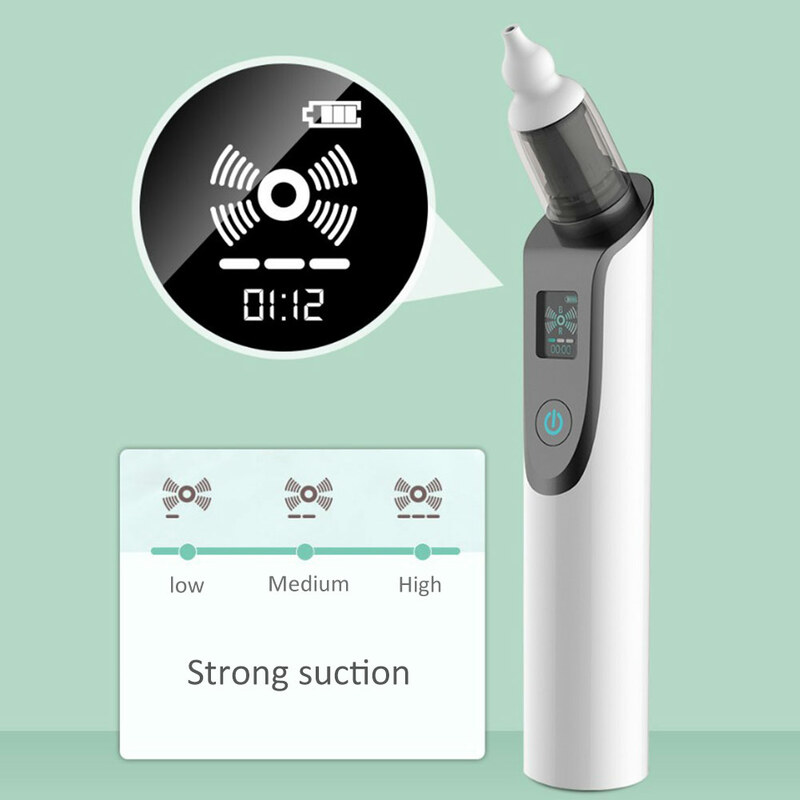 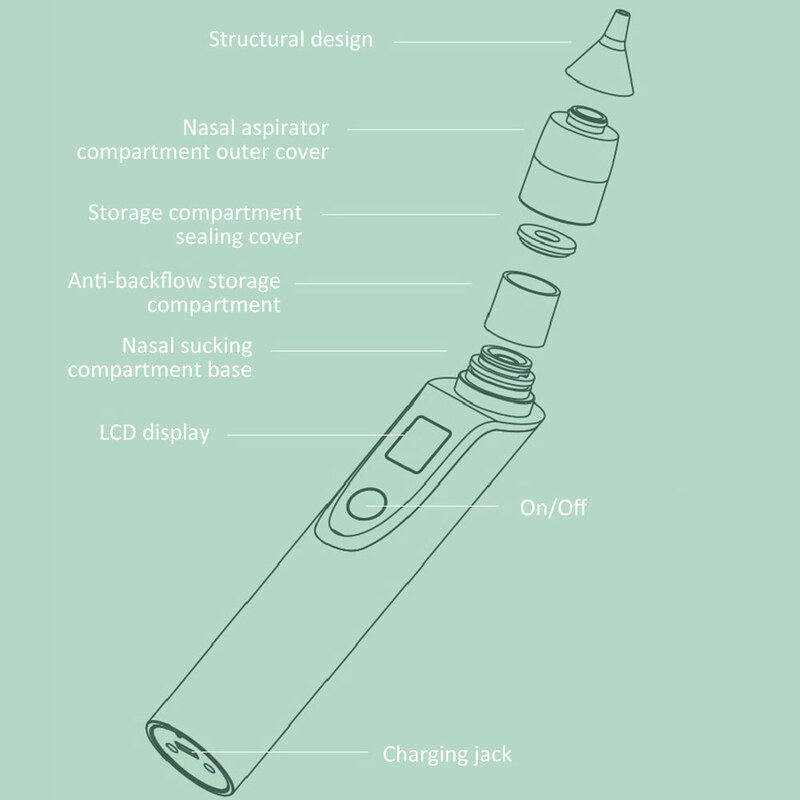 4、It features 3 levels of speed adjustment, high-end display and 1min automatic shutdown function. 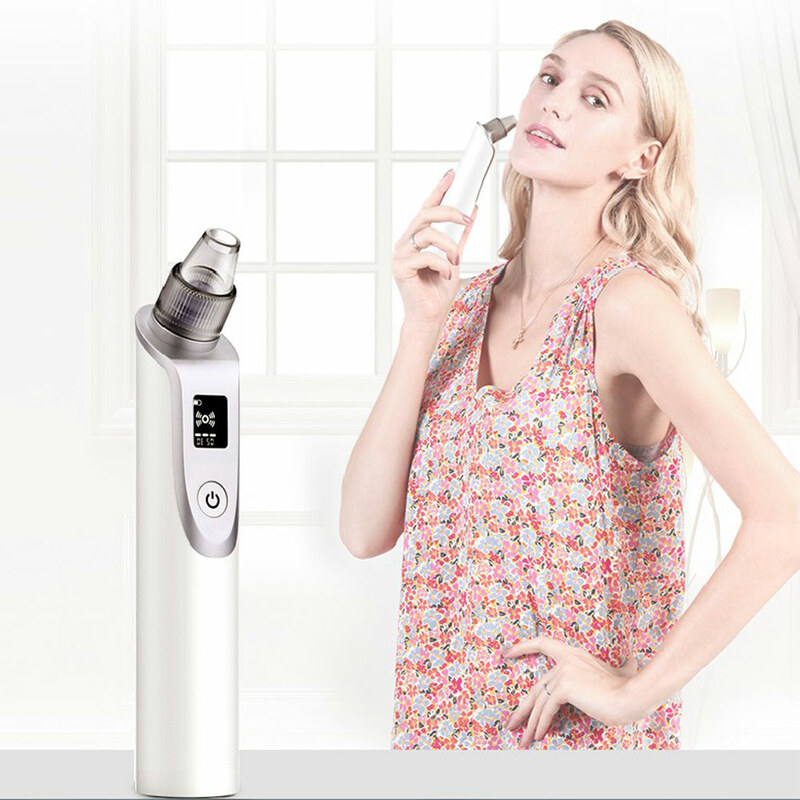 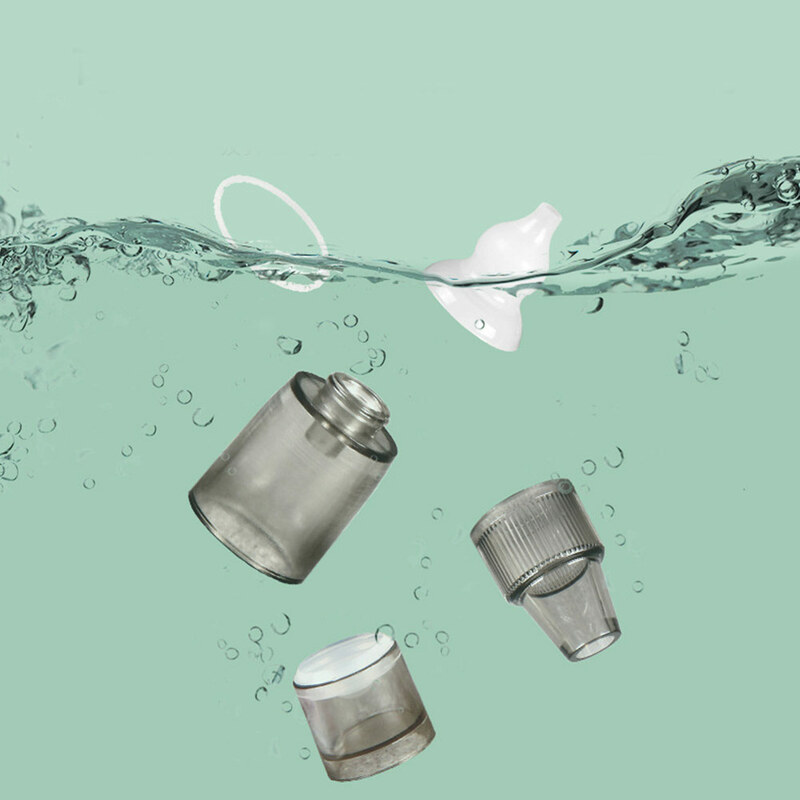 5、It is waterproof, easy to disassemble and clean: only wash the detachable parts and silicone, the body can not be washed.